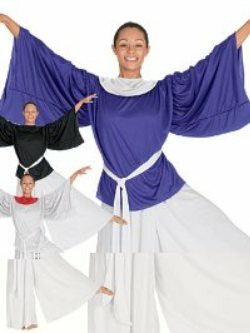 Angel sleeve blouse with flowy attached neck drape. **PLEASE BE ADVISED THAT THIS IS A CLEARANCE SALE. IT IS FINAL SALE. IT CAN NOT BE RETURNED FOR REFUND OR EXCHANGES!